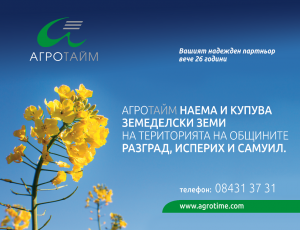 Agrotime cultivates approximately 8,000 hectares (20,000 acres) in North Eastern Bulgaria, around Isperih and Razgrad, and relatively close to the ports of Rousse (Danube River) and Varna (Black Sea). 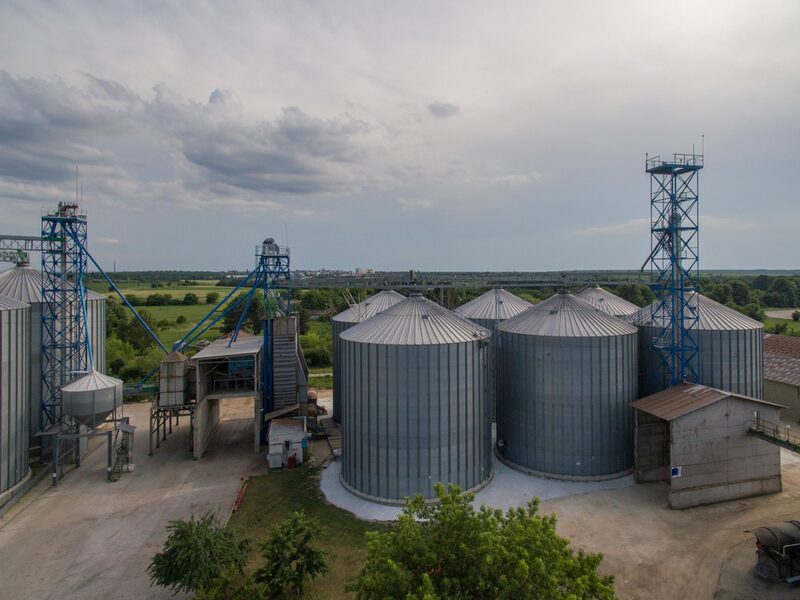 We have modern seed and grain cleaning, drying and storage facilities with a total capacity of 60,000 MT. We export grain all over Europe – to Germany, Sweden, Spain, Italy, Greece, etc, as well as to countries of the Middle East and North Africa – including Jordan, Lebanon, Egypt, Tunisia, Morocco, Algeria and Madagascar. Agrotime has positioned itself as a preferred supplier of milling wheat with high protein content and first-class baking qualities. We carefully make and constantly improve our seed selection for optimum results in our environment. We are currently using primarily Austrian varieties for our milling wheat, and consistently achieve 30% higher grain yields and 10-20% better bread baking quality than with previously available local seeds. We also run wheat trial programmes for screen testing of the latest selections from the US, Austria, Germany, France and Italy, for high-quality grain production, best yields and abiotic and biotic stress tolerance. 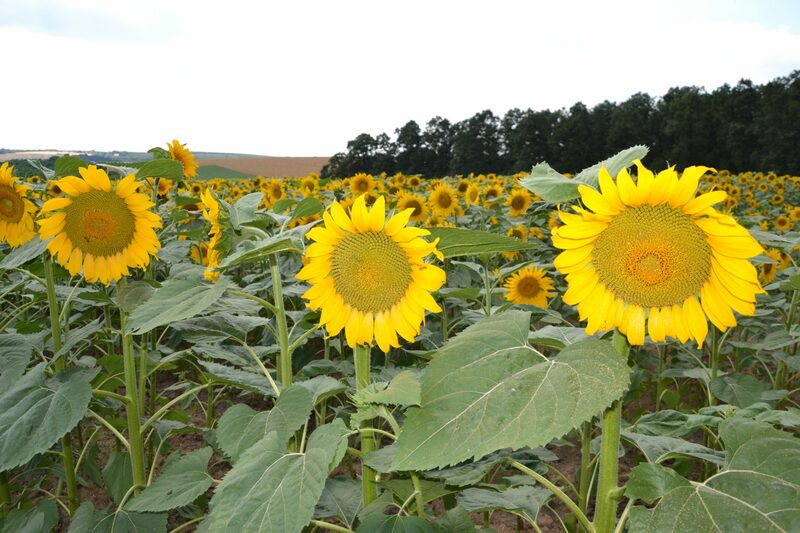 Agrotime grows two types of sunflower seed – one for birdfeed, that has been packed at source and sold predominantly to Sweden. Scandinavians are famous for their winter care for wild birds, and our history of business relations here has lasted more than 20 years. The other type is a confectionary sunflower seed, which is sold to the Netherlands where it gets packed and distributed throughout the world for human consumption. 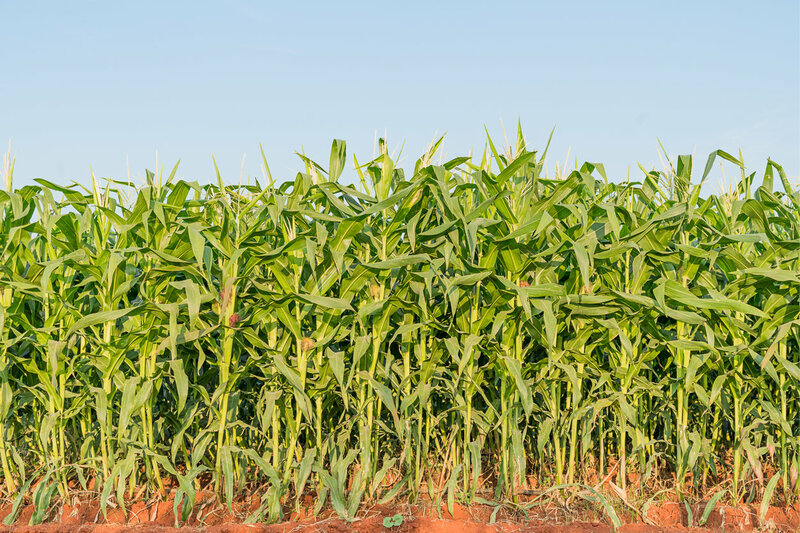 Corn is grown as part of the crop rotation system. It is supplied to a local factory producing sweeteners, sweetening solutions and modified starches. As a sustainable local source of raw ingredients, our production complements their sustainability strategies. 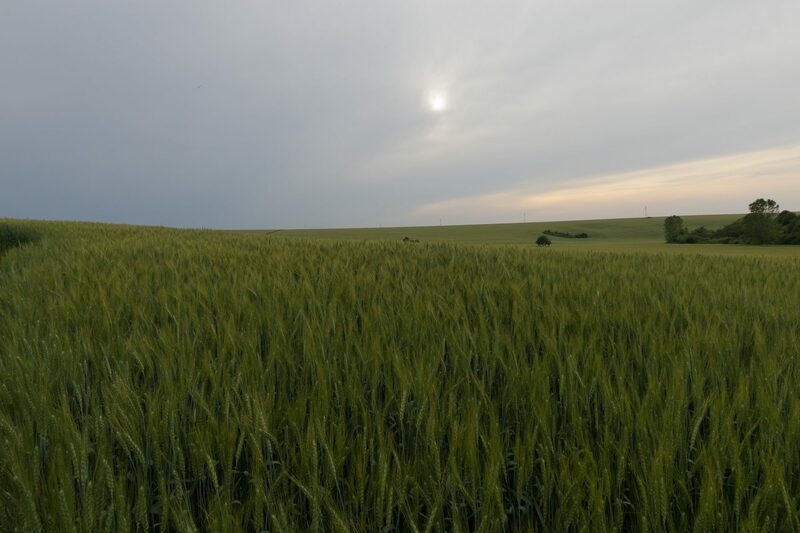 Agrotime produces high-quality seeds of licensed Austrian varieties of wheat, for the Bulgarian market. All varieties are carefully selected for Bulgarian growing conditions (soil and climatic characteristics). As mentioned previously, other varieties are in the pipeline and will be offered soon, after completion of rigorous screening tests. 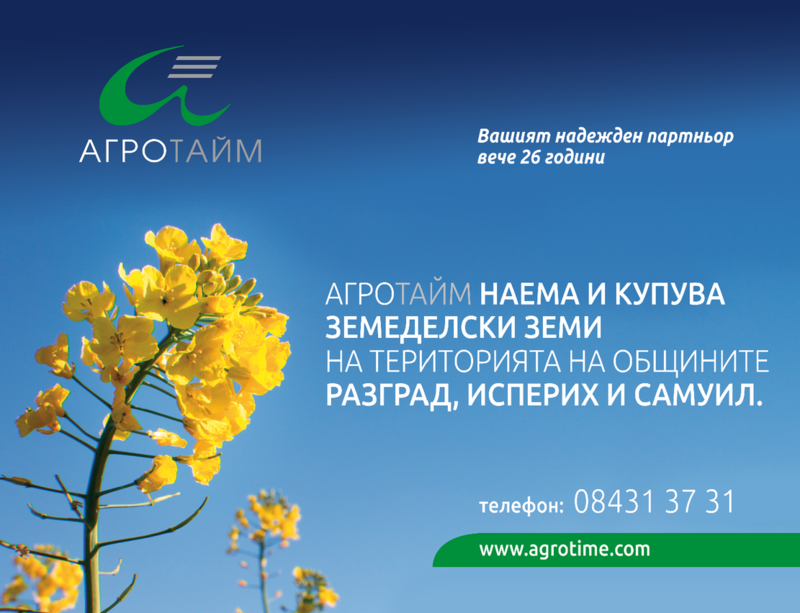 Agrotime is currently buying and renting land in the municipalities of Razgrad, Isperih and Samuil. 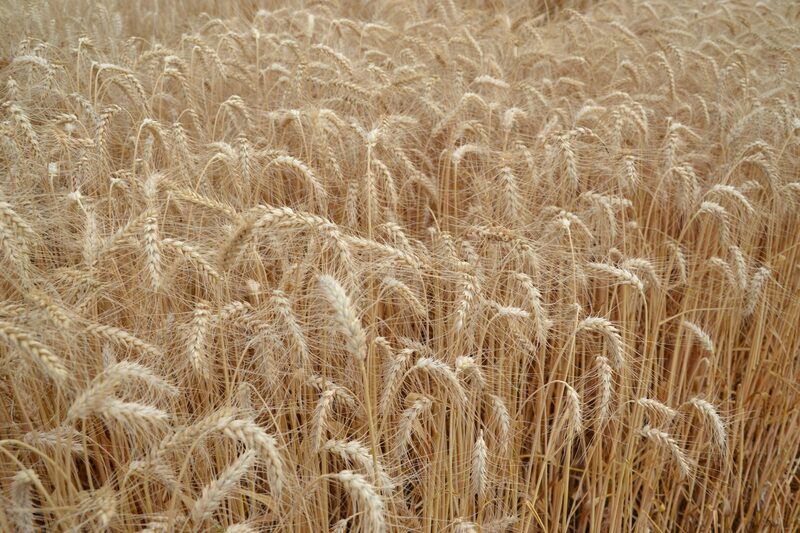 With the efforts of our R&D team, we are trialing new varieties of wheat and other crops and are testing and introducing newest, state-of-the-art cropping techniques. We have built an international technical and scientific network with Universities and Research Organizations in Bulgaria, Eastern & Western Europe as well as USA and Southern America and are applying agronomic best practices and the appropriate field works to maximize yield and increase the resilience of our crops to adverse weather conditions, weeds, pests and diseases. A good example of our international co-operation is our current joint winter wheat project with the Montana State University, USA, specifically the Montana Foundation Seed Program, which seeks to strengthen crop productivity with the release and distribution of foundation-produced MSU developed crop varieties. 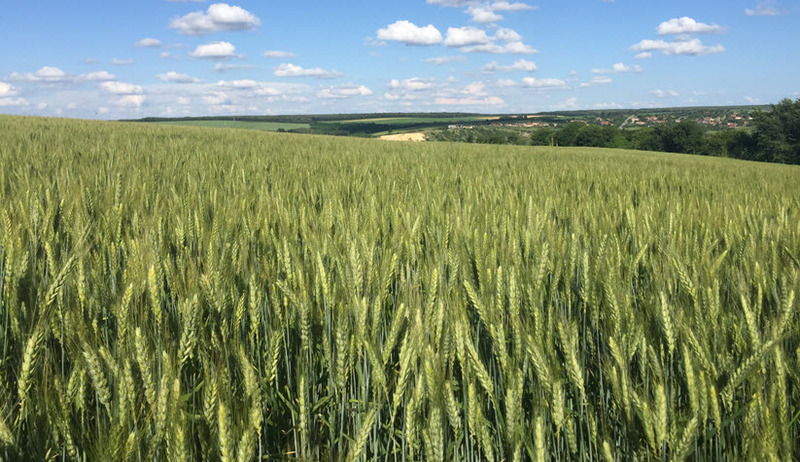 After much discussion and bureaucracy, in 2016 two MSU-certified winter wheat varieties were sent to Agrotime, and grown and harvested in 2017, this being the first time that Montana-bred wheat varieties are being grown in Europe– further information can be found here. The trial continues.